In 1938 a few Southern California assemblies of Christian Believers began providing camping experiences for their young people by renting campsites throughout Southern California. During the 1950's our camps would consist of approximately 400 young campers, with three different camps running simultaneously. Being able to rent only one week and unable to give the desired individual attention to each camper, the vision then became to own and to develop our own camp. In July 1960 the Corporation, known as Southern California Bible Conference, Inc., was established. This enabled us to purchase the facilities from the Boy Scouts of America and enter into a permit agreement with the United States Forest Service. 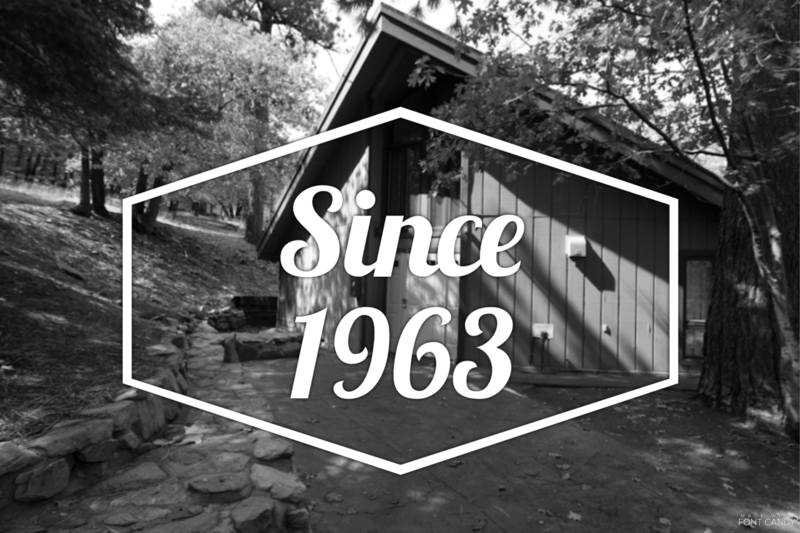 In the summer of 1963, with the purchase of Verdugo Pines Bible Camp, our program opened with three consecutive camps geared to the individual age groups. Verdugo Pines Bible Camp was established as a non-denominational Christian Camp and Conference Facility. These camps were designed to develop the spiritual, social, physical and emotional aspects of one's relationship to God. It now provides a Mountain camping experience for “at risk” youth while renting the facility to various “Christ Honoring” social, religious, and education groups, and also providing Programmed Camps for the youth, families and adults of Southern California area assemblies of believers. Verdugo Pines Bible Camp now includes eight programmed weeks for the Southern California assemblies during the year and a number of weekend camps for individual assemblies. Being that our focus and mission is primarily on evangelism and outreach, many of our guests are inter city youth mixed with our own youth groups. Being that Verdugo Pines Bible Camp is a “Year Around Facility” the weeks and weekends that are not reserved for our programed camps are rented to various “Christ Honoring” social, religious, and education groups. We have had the privilege of seeing the Lord work in these various ministries over the years and are blessed above and beyond our expectations. Our Mission Statement is: "To provide a God honoring environment away from the daily routine and distractions of life where one will develop an intimate relationship with their Creator, Jesus Christ, through God's Word and the power of the Holy Spirit, where education and experience develops an awareness and responsibility to creatrion and the Creator."